Reading The Magnificent Glass Globe took me back to my own childhood and reading Nancy Drew, the Bobbsey Twins and Enid Blyton’s stories of young people solving mysteries. It is that good and it is great to see authors writing quality books for older children. The key characters are 11-year-old Mary, her younger brother Ike and Mary’s best friend Helen. Mary and Ike’s father is a museum curator. While exploring the museum warehouse they stumble across an old trunk that belonged to Mary’s grandfather and find a magical glass globe. 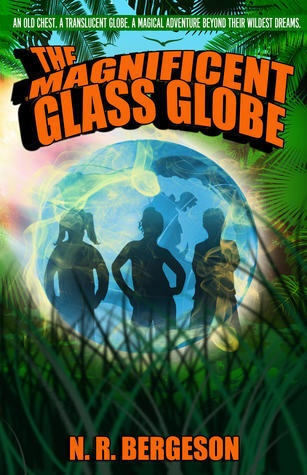 The globe transports them to the Amazon, a place Mary has always dreamed of visiting and here their adventures begin. The adventure includes an evil character wanting to steal the globe and a poacher who cares nothing for the Amazon; its people, animals and environment. But there is also an Amazonian tribe who will help them and a little bit of magic. The story moves at a good pace and is never boring as the children try to escape from danger and return home to Carolina. It is not only an adventure story but has some excellent environmentally educational sections. It is an ideal book for children in Mary’s own age group and young adults. My rating 5* It doesn’t get any better than that. London Road: Linked Stories, Vol. 1 by Tessa Smith McGovern is more than a collection of short stories; it is a collection of stories about a group of women. 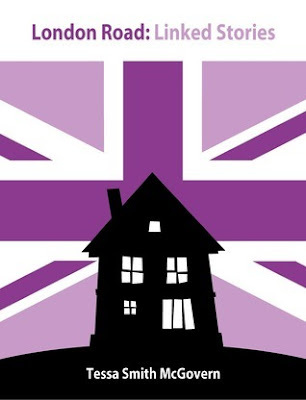 Their lives are linked by the boarding house in London where they live and Nora, the woman who owns it. The collection starts with Janice being released from prison. She arrives at the boarding house and is greeted by the landlady Nora. Nora is kind and supportive but lives in her own fantasy and writes romance novels. She is also obsessed with the Queen. Distracted by other things, she completely forgets to collect her daughter, Anna, from netball. Mandy is on probation after being caught for shoplifting. She is tempted to go back to her old ways. Bitty, is waiting in a restaurant for her boyfriend, expecting him to break up with her. Her roommate, Isobel, is having psychological problems as well as a difficult relationship with her mother who is an unsuccessful actress. My summary of the characters makes the book sound a bit disjointed but the way Tessa Smith McGovern writes the stories they move smoothly from one to the next. Despite the brevity, the reader becomes intimately drawn into their lives. So much so that at times I felt I was eavesdropping on a private conversation or even spying on a person’s private struggle. I would love to see a follow up book with these characters and discover how they cope with their inner demons and troubled relationships. I received this book in exchanged for an honest review. It is not necessary to read her first two books. (Tears of Innocence and Negative Beauty) but I recommend you do. The author gives enough information in this book about her past abuse for the reader to get a complete picture but without going over too much “old ground” included in the first two. The author yearns to go back to her homeland where, as a child, she felt loved and secure prior to the events related in her first book Tears of Innocence; somewhere that brings her closer to her beloved mother. When she returns, she finds her family home has illegally been taken over by a family who are intimidating but to fight them through the legal system would be futile. She comes to an agreement to allow her to build a small house on a pocket of the property but the greedy builders do a shoddy job leaving it unfinished. Determined as always she gets to work finishing off the house and restoring the overgrown garden. Her story describes a country with legal system procedures that delay results and an unsatisfactory medical system serviced by greedy and unfeeling professionals. But the story is not just about Ms Robinson’s experiences. It also tells of how the government authorities let many people down and how families and friends neglect and take advantage of their loved ones. Ms Robinson’s descriptions of the scenery in her homeland are beautifully clear and’ even though she doesn’t say what country it is’ you are drawn to it with a yearning to visit. The story also isn’t limited to her return to her homeland. Following her marriage many years earlier, England became her home and that of her son. Even here she feels insecure especially after young hooligans torment her and burglars break into her house; leaving a feeling of having been violated. She also needs to travel back to England to ensure she receives sound medical attention and advice. Describing her life experiences through this book, and her previous two, gives the reader an insight into how a person’s life can result in living in constant fear and dread. It also reminds us that unless we know and understand a person’s history we shouldn’t judge how they react to the challenges life throws at them. 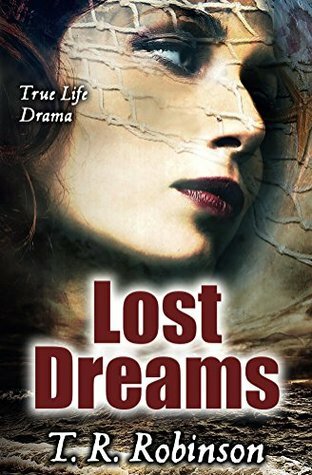 I highly recommend Lost Dreams, and the first two books of the trilogy Tear of Innocence and Negative Beauty, for insight into one woman’s battle with the setbacks in her life.